Broadway Stages shares the same sentiment towards the Greenpoint community, where we are operate. 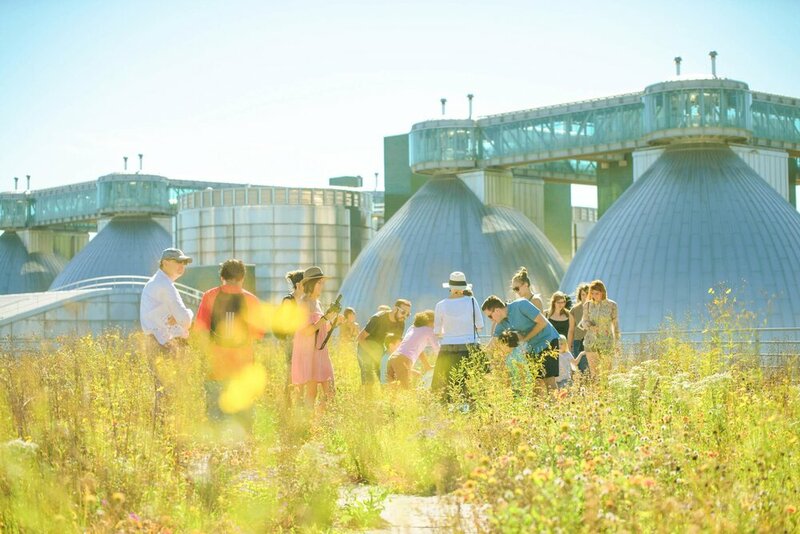 With Brooklynites in mind, Broadway Stages established Greenpoint’s Rooftop Farm, the first public accessible urban farm in North Brooklyn. What began as a small project quickly spread around the neighborhood like wildfire, with dozens of visitors now learning about urban agriculture and purchasing locally grown fresh produce. Amazed with the turnout of events, Broadway Stages only looked to continue investing in projects that improve Greenpoint’s quality of life. As Brooklyn premier sound stage, Broadway Stages will continue to serve the Greenpoint community with sentiment and conduct that mirror the relationship to our clients. We seek always try to improve and reinvest into Greenpoint’s community for the ultimate benefit of the community. We hope to lead by example for other by treating our clients and our community with the same respect and dedication!